If you're tracking more than one musician at once or if everyone in a group wants to listen to a playback you need a monitor distribution system. The compact flexible PHA40 can power up to four pairs of headphones and up to four independent volumes.Grab this super-compact amp during your sessions to power practically any headphones--four of them at the same time to be exact. 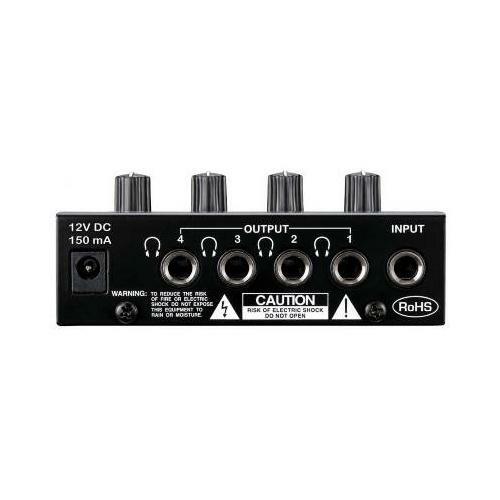 This allows four people in your studio to listen to the main mix while recording and each listener can determine their own volume level using the dedicated output level controls. 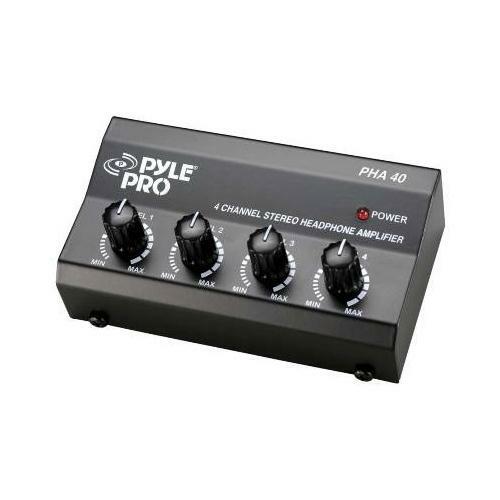 The PHA40 contains 4 high-power stereo amplifiers that maintain the highest sonic quality even at maximum volume levels. These ultra-low-noise operational amplifiers are included for outstanding audio performance.